Every now and again I love making these inspiration boards. 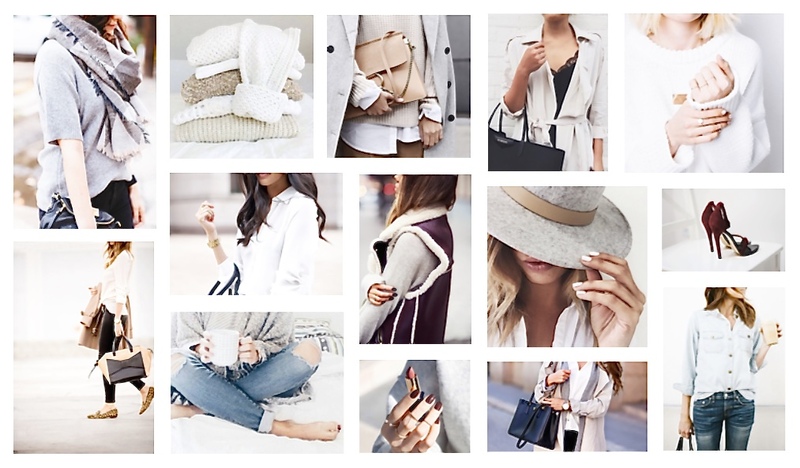 These are just some images that I found on Pinterest and WeHeartIt of Winter trends and style. Right now I'm all about a more minimal style. Back to basic classic pieces, like white shirts, grey jumpers and beige trench coats. Mixing different textures in a neutral colour palette for a luxurious feel. I'm also really into layering different pieces, especially now it has suddenly got so cold! I love collars with a jumper and turned up cuffs, but nothing is really new there! You can check out my Pinterest here and my WeHeartIt here.